Capturing the tension of the Southern California’s relaxed yet fashion focused lifestyle, Melissa Lauren’s collection debuts as a casual chic post card from Los Angeles. Each piece offers an infectious glimpse in to the local influence of designer Melissa Lauren’s local roots. The collection of beach-inspired mini dresses, maxi dresses, and ponchos is the artistic inheritance of that 1960′s Southern California beach girl to Brigitte Bardot dancing in the sand in St. Tropez. Now stepping forward with her third collection, Melissa Lauren fearlessly fuses high-end fabrics with couture style at a competitive price point. Drawing equally from the palettes of bold prints and the premium fabrics’ own natural features, the collection keeps young fashion icons close to the core elements of style. 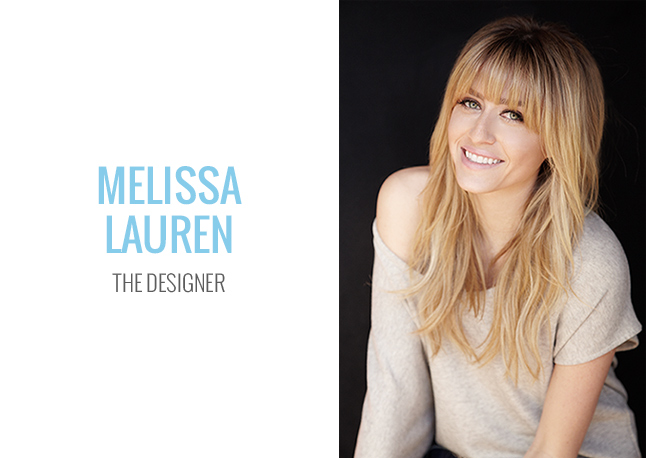 Melissa Lauren’s signature design flatters any body type and speaks to high-end boutiques and national retailers alike.